The effects of the United States Healthcare reform Bill are here with the most recent Supreme Court ruling. None of us know exactly how this historic undertaking will play out, especially for those working in the medical field. However, regardless of the direction Obamacare will take healthcare in the U.S. and Michigan, one thing is for sure: healthcare reform is fast approaching and if your business is in the medical field, you are wise to start preparing for it now but cutting costs where you can. Soon, managers of medical facilities across the country will turn to outsourcing in a prudent effort to minimize expenses. One of the best options for this is to outsource medical cleaning services. In doing so, you can save money and work with a company that hires employees right here in Metro-Detroit. Here are some other aspects to consider before you make this important decision for your medical facility cleaning: Healthcare reform will send millions of consumers to their computers where they will compare, shop, and share the best values in the medical field. This information will be easily accessible for all-- even more so than it is now. One element that is sure to heavily influence a potential patients decision is your facilities HCAHPS score. A clean, sanitary facility typically maintains a higher HCAHPS score, as cleanliness is the first thing people notice and, for obvious reasons, very important in the medical environment. In order to present your medical facility as a competent and professional one, it is essential that a well trained, certified medical cleaning staff maintain it immaculately. In order to stand apart from the competition, a smart move would be to begin to cut any non-medical expenses now. Look to the type of costs that don’t compromise the care of your patients when cut. For example, by outsourcing medical cleaning services you can easily lower expenses without lowering the well being of your patients. When considering how to cut costs and save money in the future, it can only help to think outside the box. Traditional thinking has only landed us in this health care mess we’re in now. Consider different, creative ways you can save money while, at the same time, increasing the quality of service to your facility. One way this can be achieved is through outsourcing your medical cleaning. You already know that such a strategic move will lower medical expenses, but have you considered how, with the right company, it can also vastly improve the cleanliness and overall atmosphere of your hospital or doctor’s office? With innovative, outside-the-box thinking, it is best to also do business with a medical cleaning company that is as innovative as yours. Seek out medical office cleaning services that utilize green technology. Environmentally friendly cleaning chemicals are the future of the cleaning industry, and it’s important to work with a company that understands their value as well as how to properly use them. 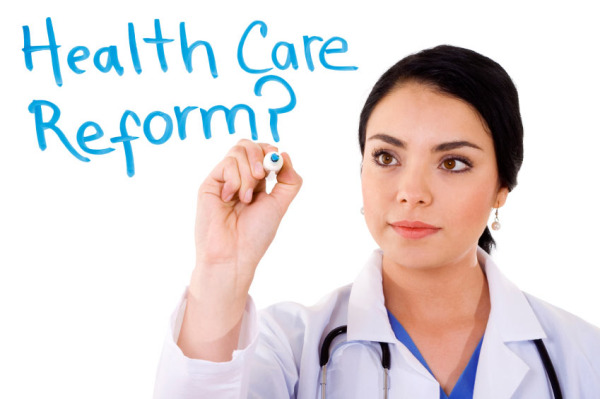 Outsourcing your medical office cleaning services is a wise approach in preparing for healthcare reform. Don’t fall behind the competition; the ripples of the Healthcare reform bill are already starting to be felt. If you’re not adjusting for them, you can bet your competition is.